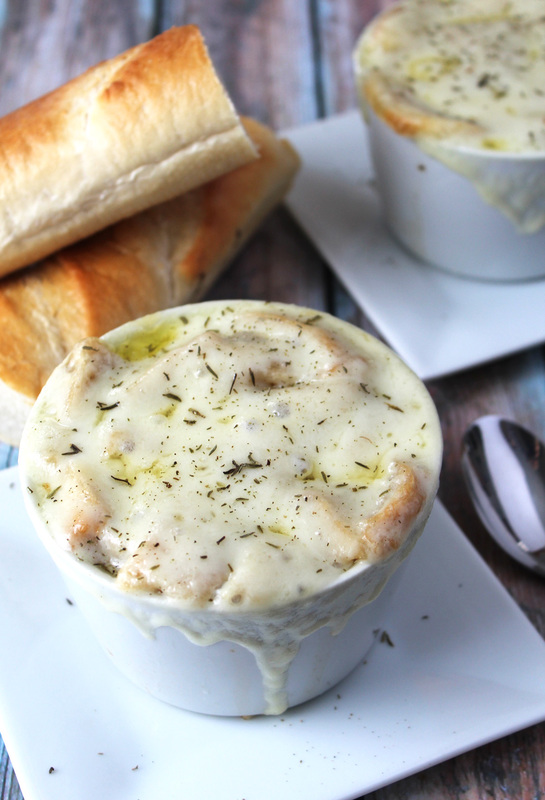 French Onion Soup has always been one of my favorite soups. I love ordering it at restaurants because it is one of the most tasty, flavorful, cheesy, and warming soups…especially on cold, snowy days. I decided to give this soup a try on my own. I thought it would have been more challenging that it actually turned out to be. 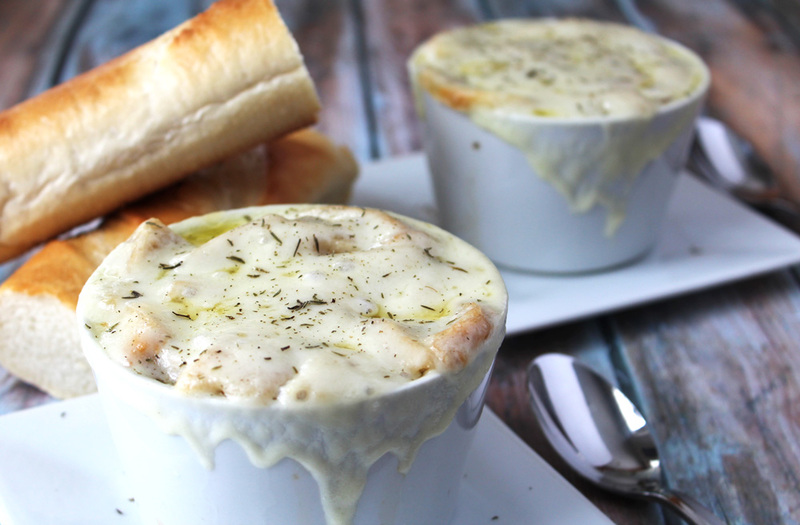 I have to admit, this french onion soup was so easy to make, and the ingredients to make it were inexpensive. Win, win! I truly can not get over how delicious this soup was. 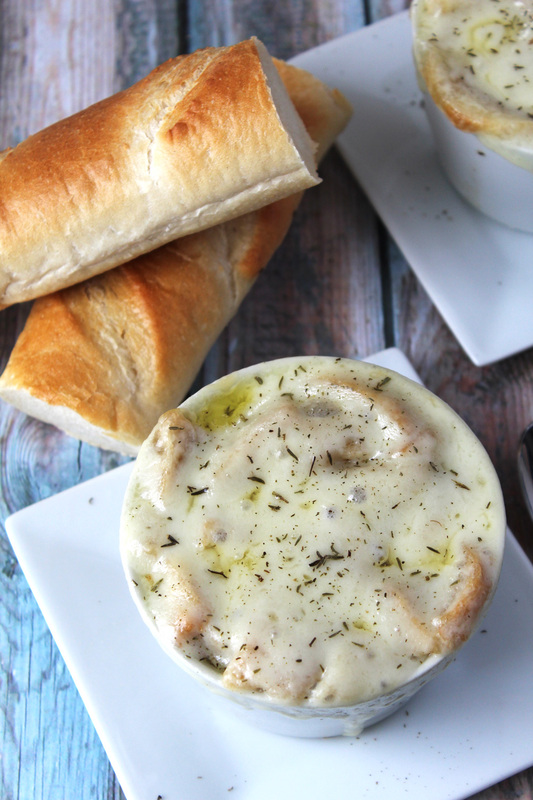 The way the diced french bread soaked up the broth, and the way the cheese melts and makes each bite so memorable. Everything about this soup was perfect. 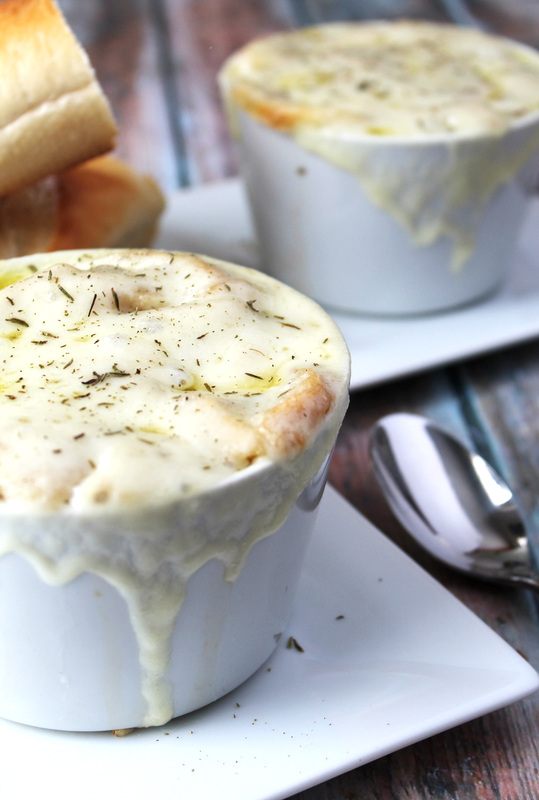 I can’t wait until you give this french onion soup a try! You will not be disappointed. 1. Place the onions, butter, and olive oil in a large pot and cook until tender and translucent, stirring often. I even let them stick to the pan a little bit so I can scrape them off and they brown the slightest amount. 2. Add the white wine and let it cook with the onions for 3-4 minutes, keep stirring. 3. Add the beef broth, water, thyme, salt and pepper and simmer for a half an hour. 4. Turn your oven to the low broil setting. 5. 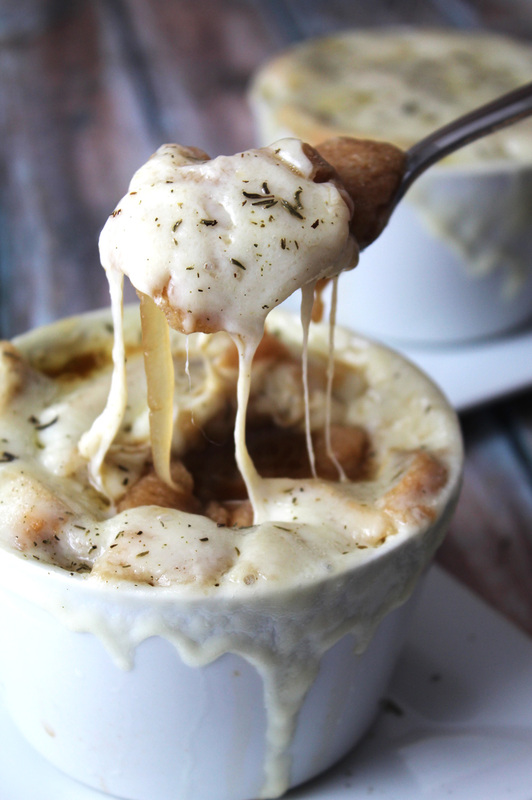 Ladle your soup into an oven-safe bowl or crock, then top with the diced pieces of french bread, followed by one slice of swiss cheese, and followed by one slice of provolone cheese. Place the bowls on a cookie sheet in case of any drippings. 6. Place in the oven on low broil for a minute or two (or until the cheese has melted). 7. Take out of the oven, top with a pinch of dried thyme and enjoy!